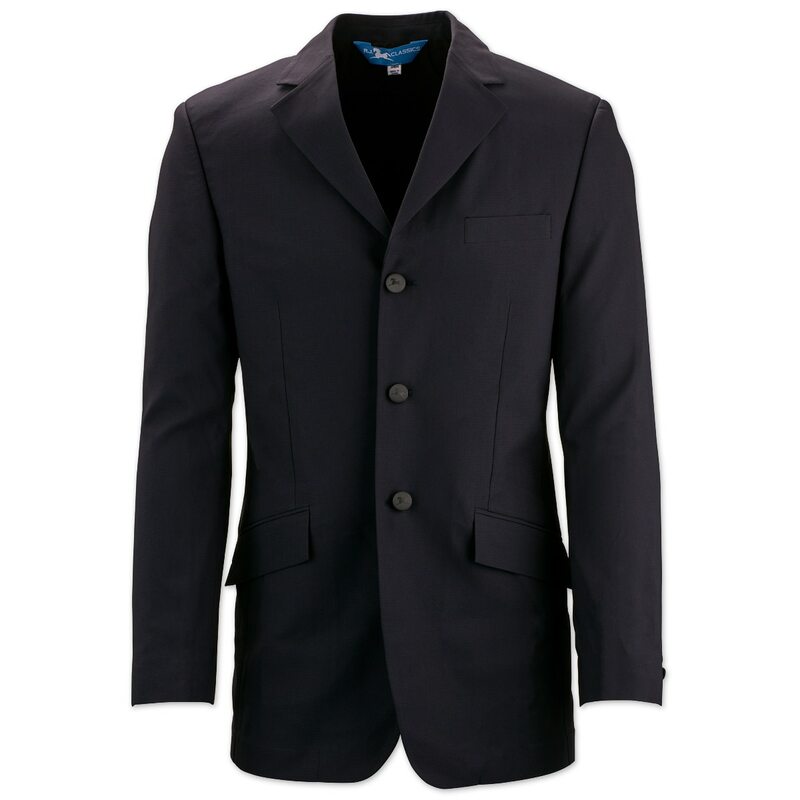 The RJ Classics Men's Aiden Softshell Show Coat will have you show ring ready in no time! The Blue Label offers RJ Classics signature fit, quality and value! 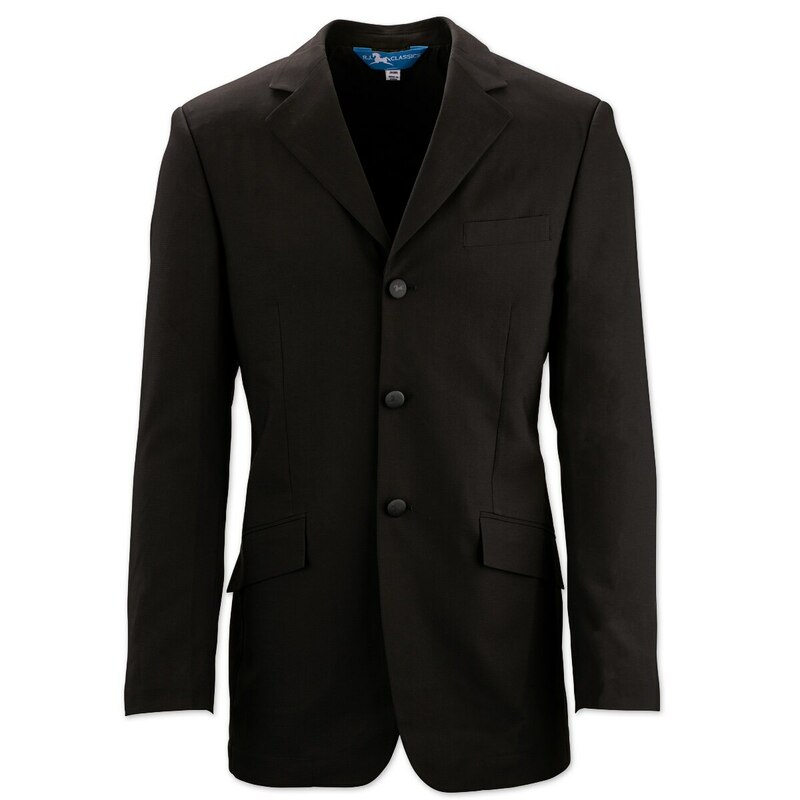 Traditional subtle styling provides the proper attire for the beginner, returning or casual competitor. The Aiden borrows elements from the "Grey Label" to offer details like a subtly textured, moisture wicking and stretch fabric. Details such as horse logo shank buttons outside as well as a half lined stretch inside culminate to bring you a modern show ring staple.